It is an amazing country that I think everybody should visit, and there’s a lot more to it than just beaches and temples. So, here are some interesting facts about Thailand that you probably didn’t know. Thailand has a constitutional monarchy, the same system as England. Unlike England, however, the royal family command a far higher level of respect, with genuine power and influence. It is a very serious offense to insult or even say anything that could be deemed derogatory towards the King. People have been jailed for simple comments on social media. If you go to the cinema, you’ll be expected to stand in respect for the King while a short film dedicated to him is shown. Also expect to see pictures of the royal family everywhere, such as on billboards and TV. It is important for any foreign visitors to understand the significance of different body parts in Thailand. For example, the head is seen as the most sacred part of the body, and it is extremely rude to touch any Thai person’s head. Feet are considered the lowest part of the body both physically and metaphorically, meaning that it is highly offensive to show the bottoms of your feet to people in public. 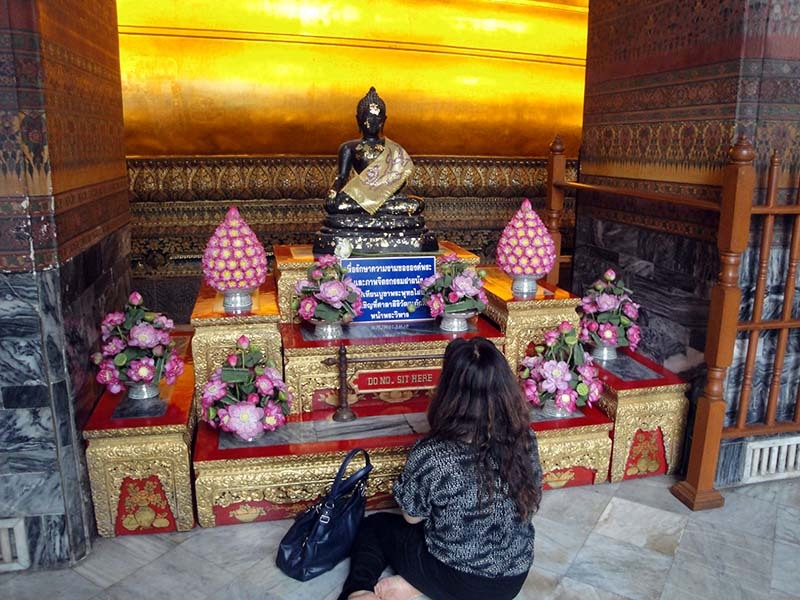 Bare elbows, knees, and shoulders are also seen as offensive are some contexts, such as when inside a temple. 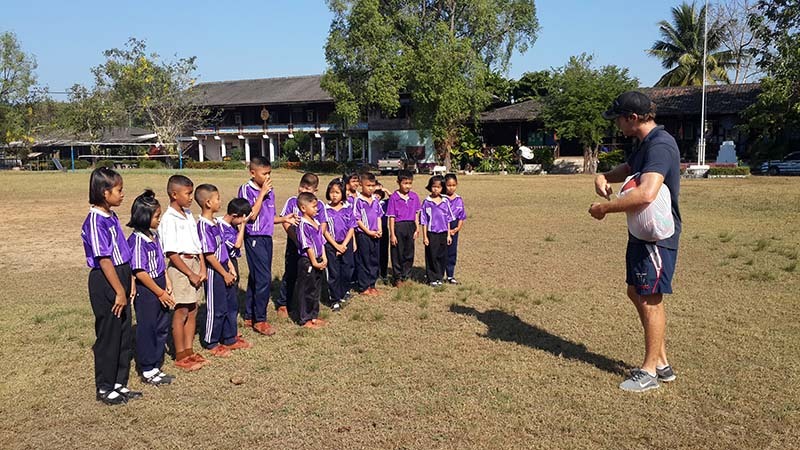 Despite its growing economy and an ever-expanding tourism boom, Thailand is still a reasonably poor country, particularly in rural areas in the north. This means there are some great opportunities to give something back during a trip by becoming a volunteer in Thailand. Southeast Asia was one of the most heavily colonized regions of the world in recent history. With European powers carving up everything around it throughout the 19th and 20th Centuries, it’s a wonder that Thailand remained almost completely free from foreign influence. France colonized the surrounding countries of Laos, Cambodia, and Vietnam, with Britain settling in many others, such as Burma (now Myanmar) and Singapore, but Thailand stood alone. The first impression of a lot of visitors to Bangkok is that they hate it. Don’t let this put you off enjoying what is one of the most interesting, exciting, crazy, and rapidly changing cities in the world. Spend a bit of time there and you will learn to love it for its unique spirit. By many measures, Bangkok is the world’s most visited city, with well over 10 million tourists visiting every year. It has also been given the title of ‘hottest city in the world’, with temperatures and humidity regularly soaring to sweltering levels. The city actually used to be built on a series of canals, with houses on stilts and boats used for transport. This led to it becoming known as ‘The Venice of the East’. It has completely changed now though, with almost all of the canals having been filled in. The famous ‘ladyboys’ that everybody has heard of are indeed a common sight in Thailand, although you might not always realize you’ve seen one as they are often extremely convincing. There is not the sort of social stigma around non-traditional gender preferences that we have in the West. Boys regularly decide at a young age that they want to become ‘ladyboys’ and begin the transformation even before puberty has started. As many as 95% of the population identify as Buddhists. This may help to explain why Thai people are generally so calm and relaxed all the time. Until the mid 20th Century, all men were expected to spend a period of time living as monks. Royalty even followed this rule, including the previous King, Bhumibol Adulyadej. The bridge that was made famous in the 1950s movie represents a dark period of Southeast Asia’s past. The bridge was actually part of the Burma Railway, a long stretch of track from Thailand to Burma commissioned by the Japanese in World War 2 to supply their war effort in Burma. Hundreds of thousands of local people, as well as tens of thousands of Allied prisoners of war, were forced to construct the line. The horrific conditions led to the deaths of up to 100,000 people. The bridge still stands today. 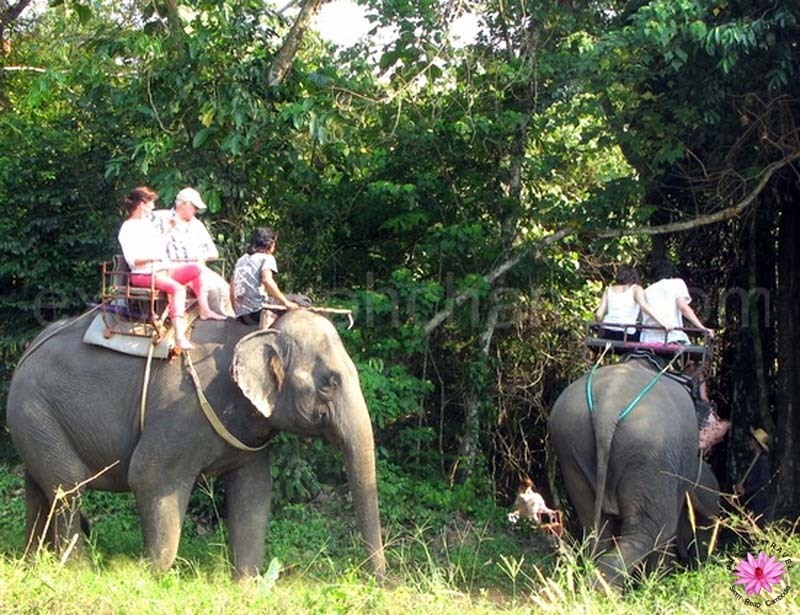 It is located not far to the west of Bangkok, so can be visited easily. Elephants, or at least symbols of elephants, can be found absolutely everywhere in Thailand. They adorn clothes, rugs, paintings, and more, all over the country. The national beer, Chang, is even named after the majestic creatures. They were very common in the wild in the past, with tens of thousands roaming the countryside. However, the population has declined dramatically due to various factors such as deforestation (Thailand is one of the most heavily deforested countries in the world), but many reserves now operate to help them and re-establish wild populations, and logging is now strictly prohibited. The language is thought to have originated as an offshoot of Chinese many thousands of years ago. One feature of it that can make it particularly difficult for foreigners to comprehend and learn is its tonality. There are several tones, which can completely alter the meaning of something. So what looks and sounds like the same word to foreigners could potentially have a number of separate meanings. 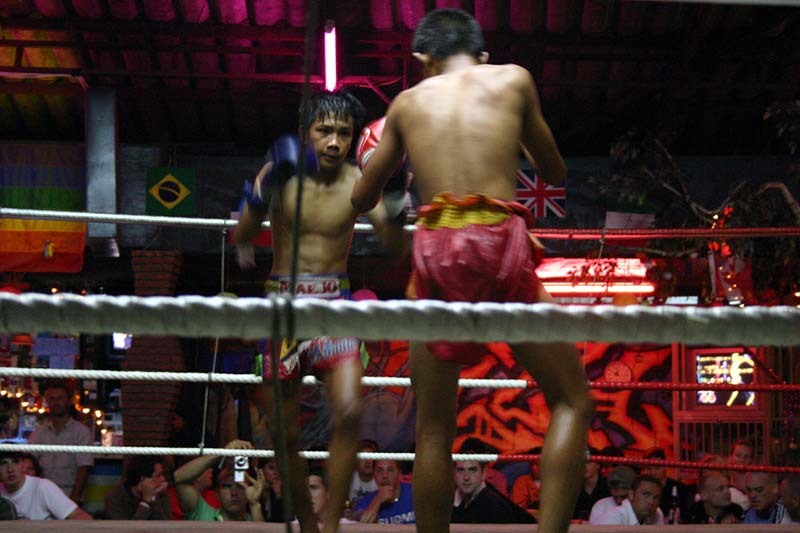 Muay Thai has become very popular all over the world and is regularly a vital element of the skillset of modern MMA fighters. It can be quite a brutal sport to observe. Shins and elbows are used to deliver heavy blows, meaning knockouts and injuries are a common occurrence. It is undeniably compelling to watch though, and going to a professional match is high on many travelers’ wish lists. Fighters are very respected and often train from the age they can walk. If you go to watch a fight, there will often even be children fighting on the undercard! Thailand is an exceptional place, and regardless of how many times you visit, it will never cease to amaze you. Visit on your next vacation to learn more about this amazing country for yourself.